Clutch and Transmission related parts for 2005-2008 R52 MINI Cooper S Convertible or Cabrio. These driveline parts include Clutches, Flywheel, Limited Slip Differentials, Axles, and parts related to these items. 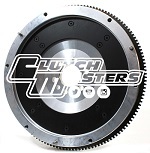 WMW carries MINI OEM parts, ACT, Clutchmasters, OS Giken, Quaife, Competition Clutch, Valeo, and LUK.